ARUP’s Pain Management Division consists of experts who are faculty members at the University of Utah School of Medicine. They provide a full range of consultative and diagnostic services. Dr. McMillin is an associate professor of pathology at the University of Utah School of Medicine. 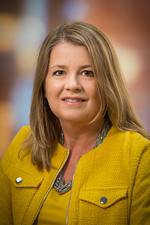 Dr. McMillin received her PhD in pharmacology and toxicology from the University of Utah, completed a clinical chemistry fellowship at the University of Utah, and is certified by the American Board of Clinical Chemistry in clinical chemistry and toxicological chemistry. 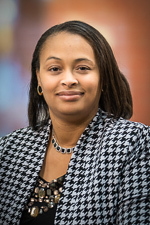 Dr. Johnson-Davis is an assistant professor of pathology at the University of Utah School of Medicine. Dr. Johnson-Davis received her PhD in pharmacology at the University of Utah, completed a clinical chemistry fellowship at the University of Utah, and was a postdoctoral research associate at the Center of Human Toxicology at the University of Utah. Dr. Johnson-Davis is certified by the American Board of Clinical Chemistry in clinical chemistry. Ms. Scott has more than 20 years of strategic management experience within the healthcare field. Most recently, Ms. Scott served as a public health educator in Eastern Europe focusing on addiction and recovery. 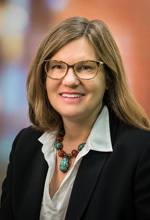 Upon her return to the U.S. in 2016, she completed a Master’s of Public Administration from the University of Washington Evans School of Public Policy and Governance in Seattle. Ms. Scott then joined ARUP as a means of advocating for the victims of drug and alcohol addiction.